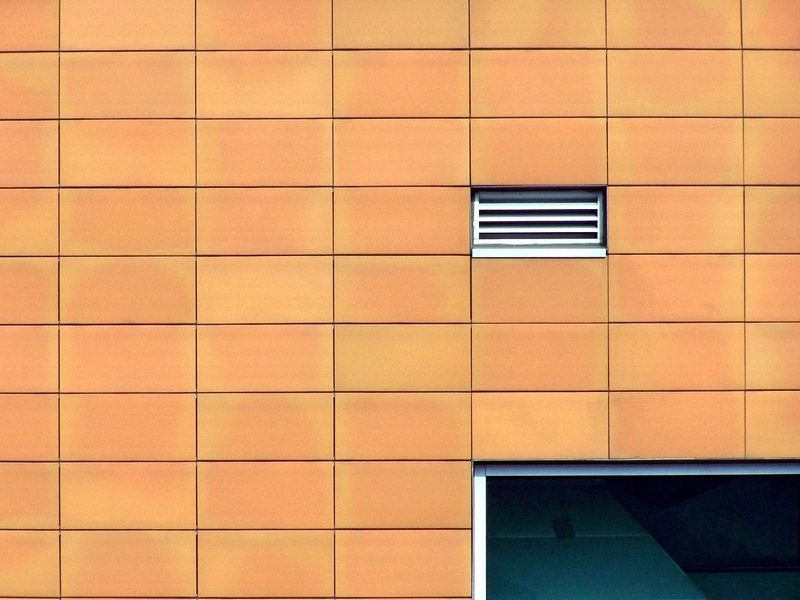 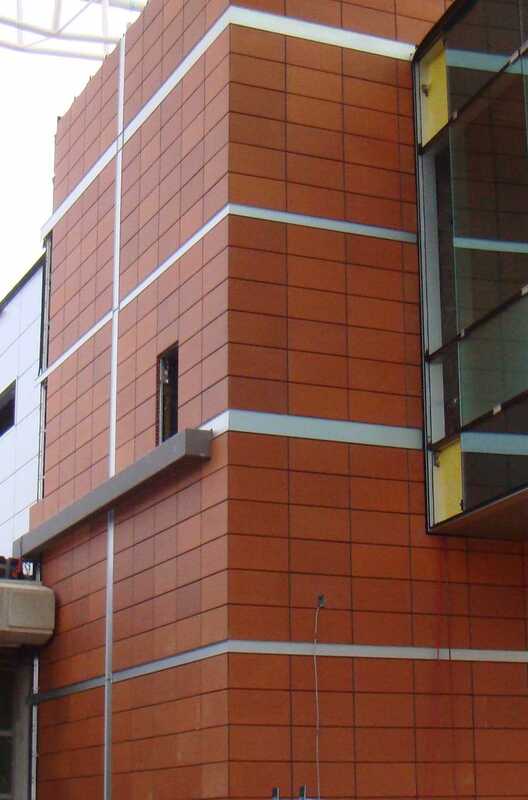 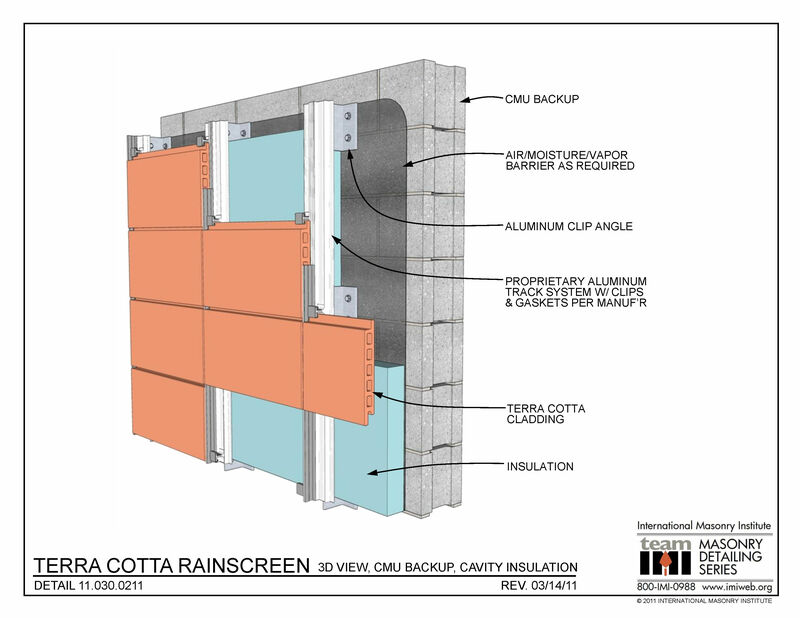 This detail shows a ventilated, open-joint rainscreen system made up of terra cotta cladding clipped to a proprietary aluminum track system. 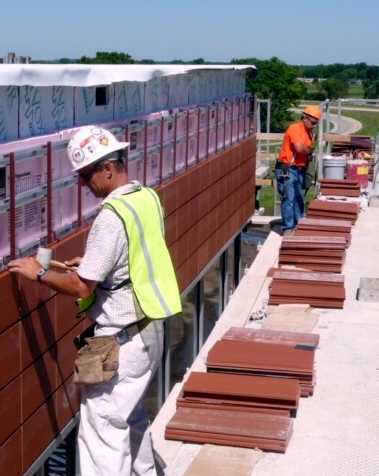 The aluminum struts are anchored to a concrete masonry backup with aluminum clip angles. 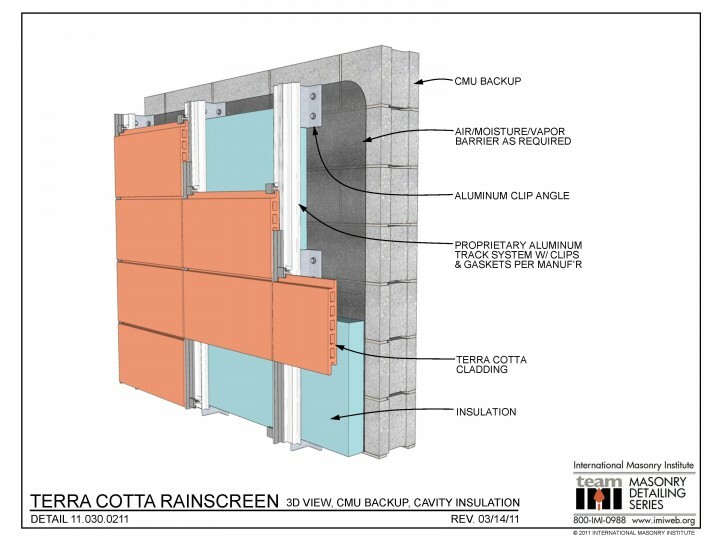 The CMU has a continuous air barrier.